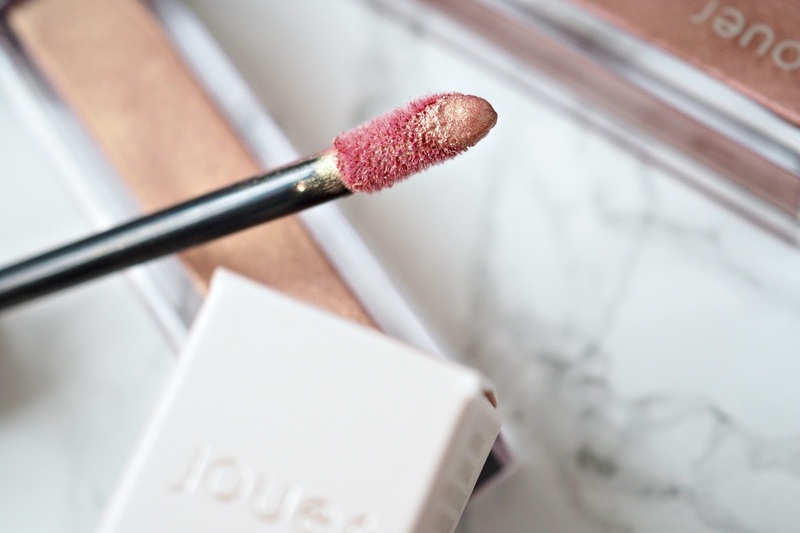 Like a lot of people I would imagine, I first came across Jouer lipsticks when the photo of a gorgeous pair of lips wearing Jouer Lip Creme Lipstick in ‘Papaye’ went viral on Pinterest. It picked up so much traction that it immediately sold out and gained national coverage in the likes of the Huffington Post and Look Magazine to name a few – being described as a mixture of unicorn tears and angel dust! 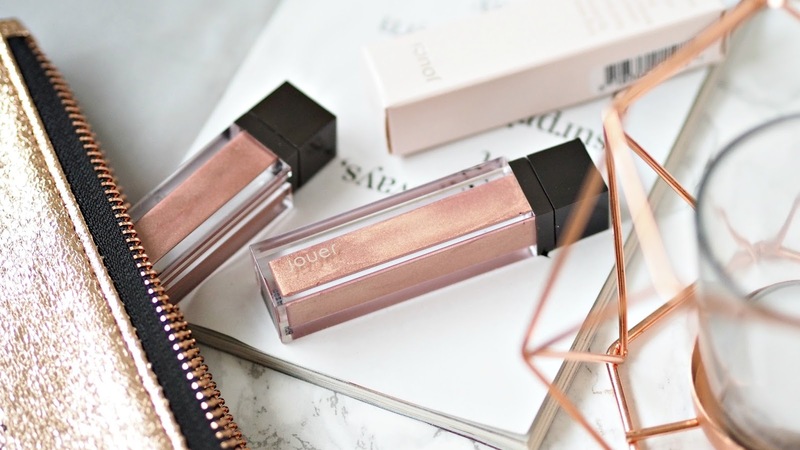 Ever since my discovery I’ve lusted after the ‘Papaye’ lipstick but never got round to purchasing it, so when Christmas was on its way I asked my Secret Santa for two of the Jouer Long Wear Lip Cremes in shades ‘Papaye’ and ‘Praline’. Luckily my Secret Santa delivered on both! 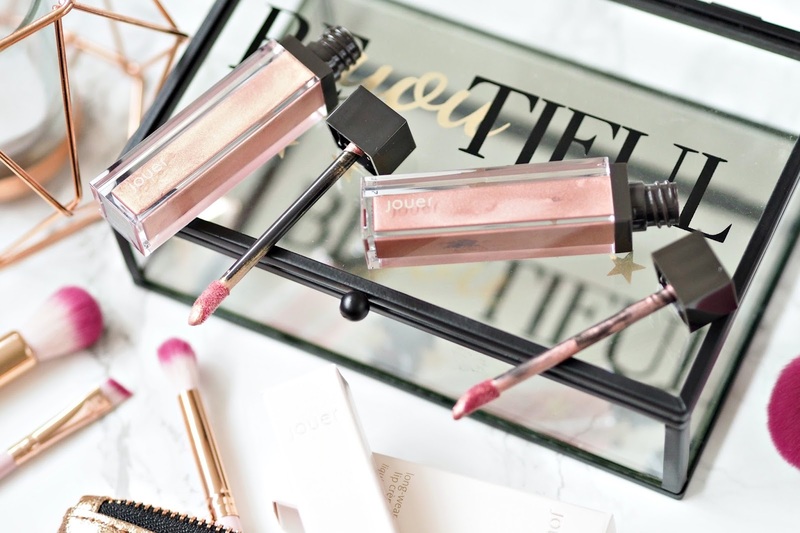 These liquid lipsticks are like none I have tried before….. The formula is very light, soft and glides on effortlessly. The doe foot applicator is small enough that I can use it to line my lips rather than use a lip brush, which I have to use for most liquid lipsticks. They take a fair bit longer to dry than most liquid lippies but once they do, they don’t feel at all heavy or cakey on the lips and last well. They don’t last as long as the Anastasia Beverly Hill’s liquid lipsticks, but a decent few hours nevertheless. As the texture is so light I don’t find them drying which is a common problem with a lot of liquid lipsticks. 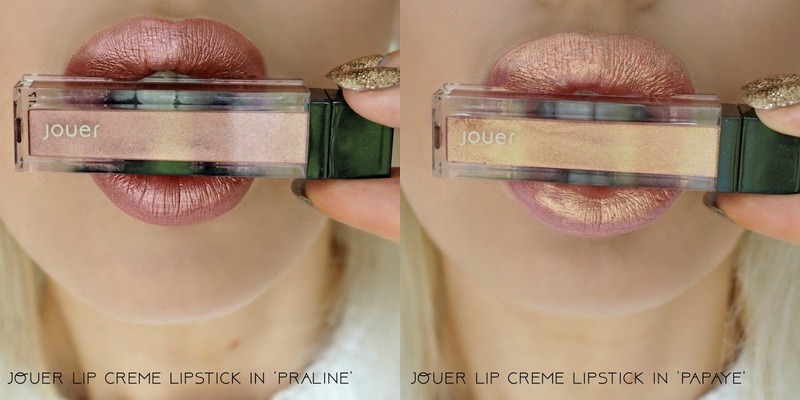 Jouer Lip Creme in ‘Praline’ is a beautiful metallic dusky pinky shade. It has a lovely shine to it and is so pigmented that one swipe is enough for full coverage. 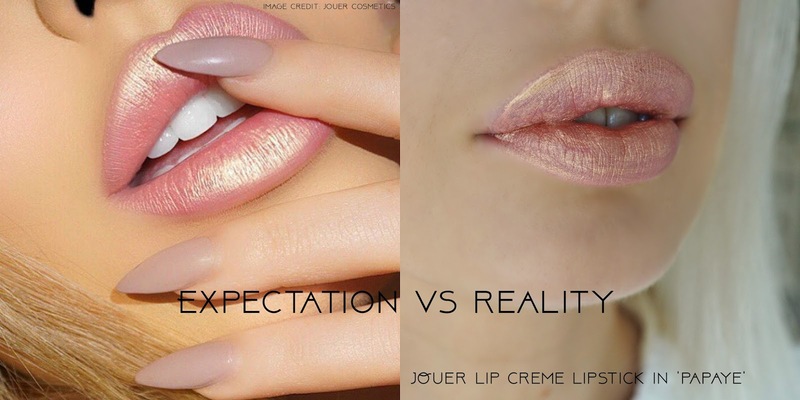 Although I don’t have flawless skin and lips like the girl below you can see the expectation vs reality is completely different. The pictures I took actually make it look better than it was in person, so that’s saying something. 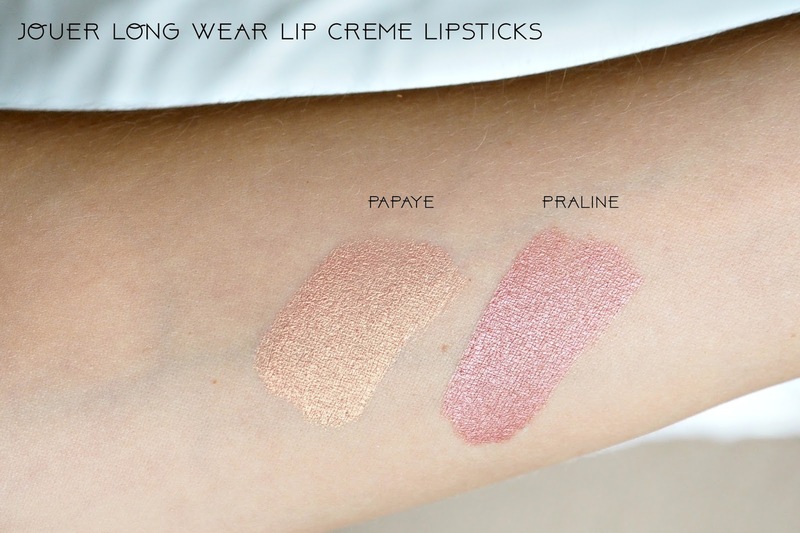 Luckily as I love ‘Praline’, the ‘Papaye’ incident hasn’t put me off these lipsticks, but I’m definitely going to be weary about picking a paler shade in future. It also goes to show that the formula can be so different from colour to colour. 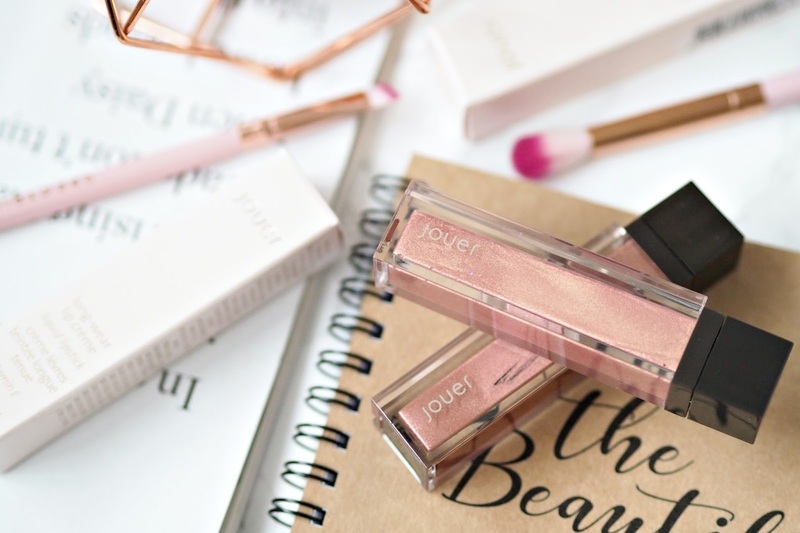 In the UK Jouer Lip Cream Long Wear lipsticks can be purchased from Cult Beauty and cost £15 each. 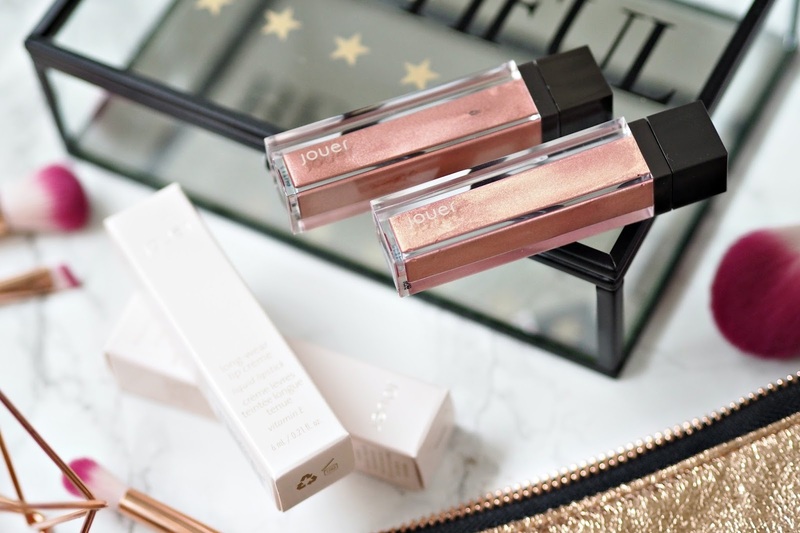 Have you tried any Jouer Lip Creme lipsticks? Can you recommend any of their other products or shades? World Duty Free Shopping Haul! 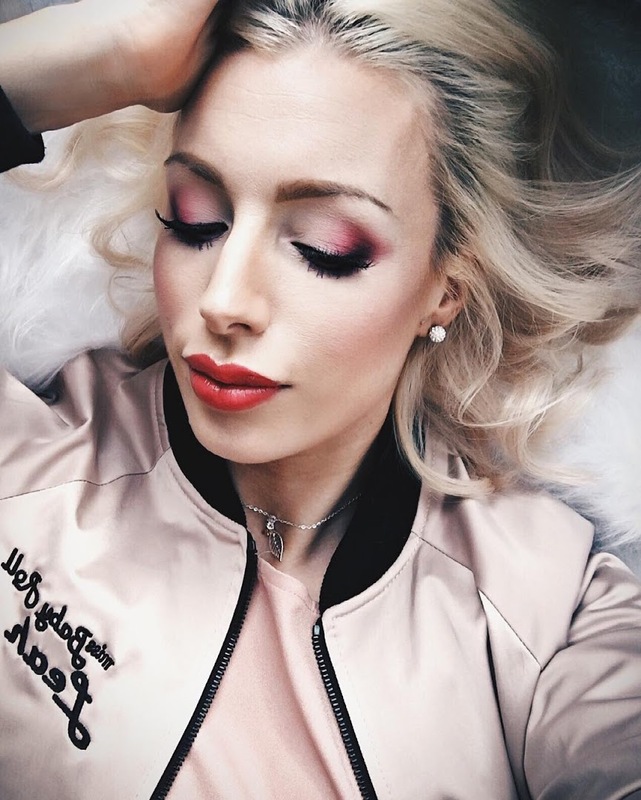 Next Post The £88 Eyeshadow Palette – Was It Worth It?